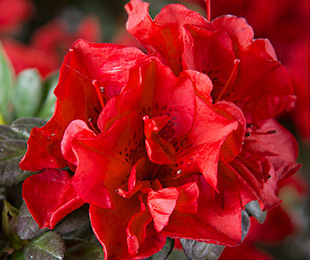 Description: An Azalea with a dwarf habit and heavy flowering in autumn and spring, and regular flowering in summer. It has semi-double rich red blooms and attracts butterflies. Size: 80cm high x 95cm wide.